Something, but usually someone, that one cherishes above all others as Wikipedia describes the old phrase. And the band describes Apple of my eye weave beautiful and epic folk tales from snatches of half remember songs you mother used to sing you, and lyrics scrawled on the backs of unopened bank statements. I couldn't agree more. Sublime vocals and intricate instrumental work. 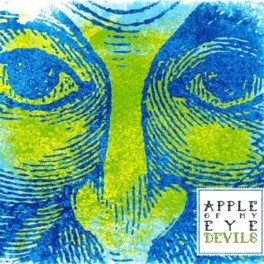 Their debut album "Devils" is a magical journey filled with rhythm and rhyme. Maia, a 4 piece alternative, acoustic band from Huddersfield playing all sorts of disco sci-fi folk pop on ukulele, cajon, trumpet, banjo, mandolin or whatever else is lying around! A really new and fresh approach to acoustic folk music. 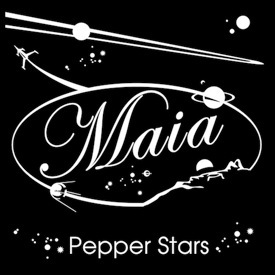 Their new album "Pepper Stars" will be out on the 26th of November 2012. 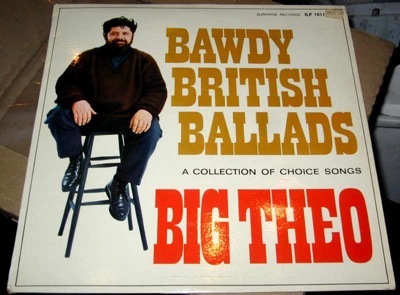 Look out for this as it's going to be one of those must-buy albums for 2012. Following their self-titled debut album and Alligator EP, Maia are releasing their second album “Pepper Stars” of which singles “Living In The Alligator”, “Zuma Aluma” and “The Grandfather Plan”, released earlier this year, have already received critical acclaim. Once in a while a band will come along who sound way beyond their years, think Fleet Foxes or The Incredible String Band. 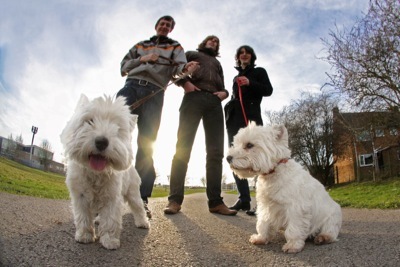 Having just finished university, Maia is a band that fall into that esteemed category. Lookman Adekunle Salami - ‘L.A. 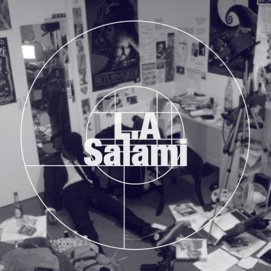 Salami’ - is a rare breed of musician that the world has been craving since the height of storytelling legends like Joni Mitchell, Paul Simon and Neil Young. Not quite folk, not quite indie, not quite common and certainly not boring, L.A. Salami’s lyricism and voice are hypnotic. His uncanny ability to deliver a story through a song with twists and emotions that are so incredibly human makes his music instantly relatable. With a cool voice, beautiful guitar, and masterful words, L.A. has a distinctness to his art that is inherently lacking amongst other young musicians today. Mad Staring Eyes are a 6-piece band from North London. Their line up includes pedal steel and flute and revolves around a core that have played together for 20 years. 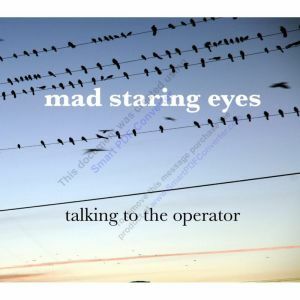 In 2006 Mad Staring Eyes self-titled debut EP won the John Peel 'Best New Band' award and they played Glastonbury Festival that year. They have since toured in the USA, UK, Canada, Russia and Germany and played international festivals such as South By South West (Austin, Texas), North By North East (Toronto) and CMJ Music Marathon (New York). Over the last two years Misery Guts have released two singles and an EP to critical acclaim, supported many established acts (Noah and the Whale, Cherry Ghost, The Fall to name a few), had introductions from Tom Robinson on BBC 6 Music and established one of the most exciting event nights in their home city Liverpool, "Club Electric Sheep". 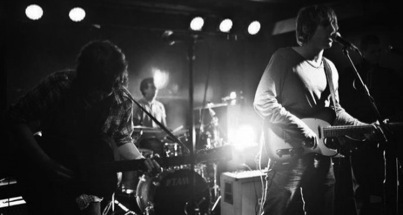 In September 2010 the band supported Cherry Ghost on their UK tour and also Jack White’s Favourite Folkies Smoke Fairies. 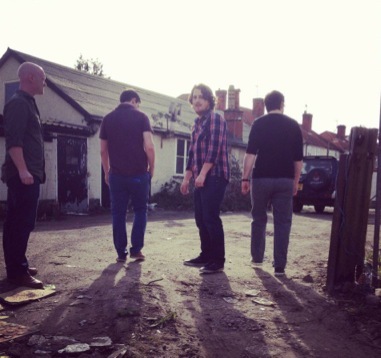 In 2011 they began writing and recording their debut album 'Faded Traditions' after touring the festival circuit and putting on their own acclaimed gig/festivals in Liverpool’s Bombed out Church and Scandinavian Church. 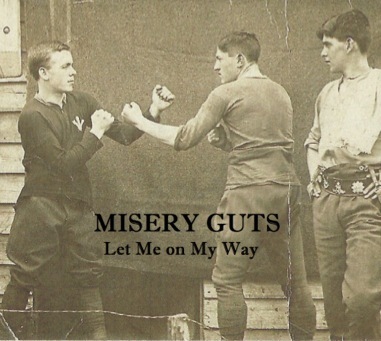 Drawing inspiration from the folk revivalists of the 60’s and 70’s as well as the great British singer-songwriters of the same era, Misery Guts are storytellers—beautifully melodic with psychedelic undertones. They are capable of seamlessly crossing the realm of music to emotional connection, drawing you in with their rich melodic folk sounds. One thing about The Toy Hearts is clear: their love for the music they play and the conviction of their delivery far exceeds any simple mimicry of American music. 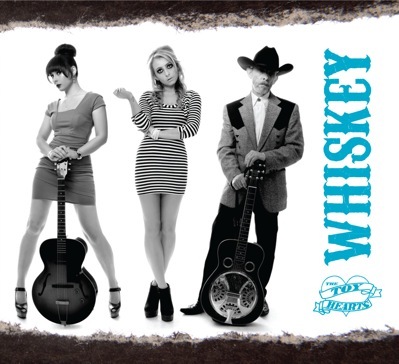 They manage to tip their hats to their influences from Bluegrass, Country and Swing, while making their own mark, and having their own distinct style, which is quite different to that of those whom inspire them. From the heartbreak in Hannah’s voice, to her sister’s take-no-prisoners guitar playing, to their father Stewart's multi instrumental talents, this unlikely trio demonstrate what it means to really want to play this kind of music and truly love doing so. A really amazing album. Great slide work. No need for introductions here. One of those albums that just sells. Please check it out. 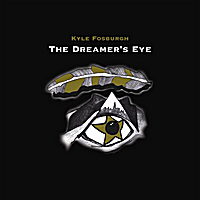 Kyle Fosburgh is an accomplished singer/songwriter. He plays many different instruments and draws his music from a vast array of genres including but not limited to: American primitive guitar, pre-war folk blues and gospel, modal music, and various forms of Americana. Much of Kyle's music could be classified as "Progressive folk". His mission is to spread the word of our Lord Jesus Christ through the art of musical expression. 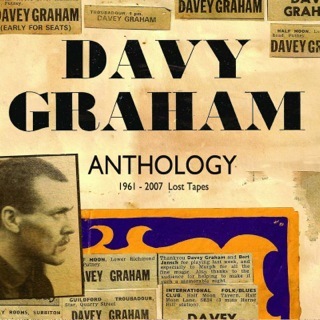 The new anthology recently compiled by Les Cousin music really holds some real gems for any fan of Davy Graham. One of those must buy albums which includes 54 tracks from 1963 to 2007 of rare live performances, unreleased studio work and radio broadcasts. The first five tracks seem to be from the acetate commissioned by Bob Monkhouse back in 1963 which Graham later went on to record Guitar Player on Pye Records. These are the type of groups we love to see here at Folk Blues and Beyond. Fresh new melodies but never straying from the roots. Young Believers, reminds me a little of Jack Bruce, The Decemberists and Love thrown in for a special brew. Their Facebook page reads “A little Folk/Beat group from the North, concerned with nothing other than picking our wooden music boxes as if our lives depended on it!”. 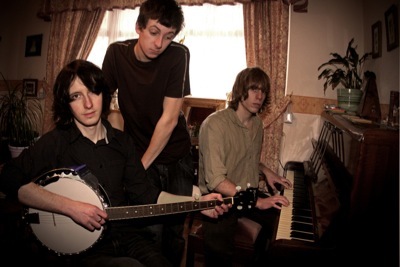 Their EP “Fruits of labour” was recorded in a few transpennine locations in the far north of England, with a hire van lots of junk food and gigs. A soft echoey voice driven by a euphoric drum rhythm and great guitar work is one way to describe their music. I for one would love to see what music they can come up with for their album. Can’t wait. Do check out this band. You won’t be disappointed. Now for the official links and group photos. After years of being a highly respected guitar player Tim has finally stepped up to the mark and is now fronting his own band ‘Ainslie’s Vibes’. Tim approached two lifelong friends and musicians, Roy Little (bass) and Alex Best (drums) who jumped at the chance to be involved in a new original project. The trio gelled straight away with each member contributing personality and creativity into the mix. Ainslie’s Vibes debut cd, ‘The People Have Spoken’ was released and the band went on to record studio and live gig sessions with the BBC. 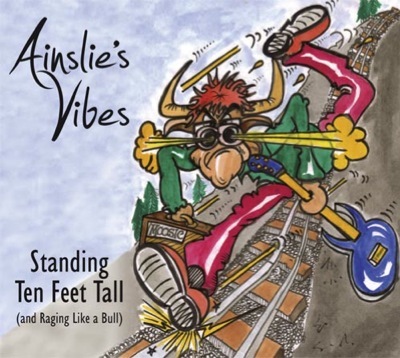 Having now revisited Roundel Studios in Kent, Ainslie’s Vibes all original new album entitled “Standing Ten Feet Tall and Raging Like a Bull” will be launched later in the year. 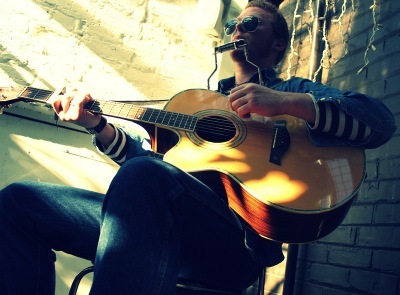 Tim has been quick to follow up on his debut EP ‘The People Have Spoken’ with a brand new album entitled ‘Standing Ten Feet Tall (and Raging Like a Bull)’ recorded and released with his band, Ainslie’s Vibes. 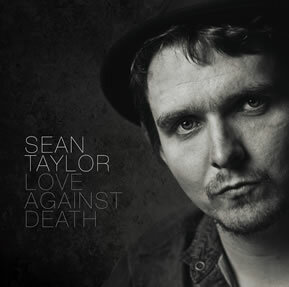 The new album is collection of self-written songs steeped in Blues crossed with Jazz and Rock ‘n’ Roll. 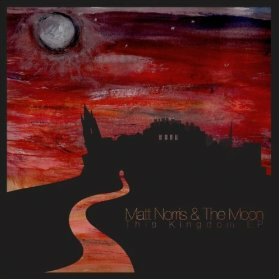 Matt Norris & The Moon formed in 2009 when Matt Norris (guitar, lead vocals) met Tom MacColl (bass) at university in Edinburgh with Dave Law (trumpet, mandolin), Helen Cookson (fiddle, flute) and Dale Birrel (keys, accordian) added through connections from previous bands and from the local open mic and newly emerging Edinburgh folk scene. After many hours spent practicing, working on their sound and playing shows, they were offered prestigious live performances including the opening set of the Edinburgh Hogmanay Concert in Gardens supporting Sons & Daughters, Bombay Bicycle Club and Primal Scream. Over the past year they have been played support for the likes of Ben Howard, Villagers, Lucy Rose, Pete Roe, Rachel Sermanni, Alphabet Backwards, Kitty the Lion, Dry the River, Three Blind Wolves, Woodenbox and Chasing Owls, have toured Scotland and been named “The best live band in Scotland” by Jim Gellatly with the band recently been named 'artist of the week' on Amazing Radio. Suburban Dirts are a British electric folk blues band that's heavily influenced by Dylan's mid-60s classics, Bringing it All Back Home and Highway 61 Revisited. Their original "Lost in Transcription" riffs closely on Dylan's "Subterranean Homesick Blues," "Tombstone Blues," and other of his sing-song electrics and harmonica-laced ballads. Frontman John Wheatley lists Dylan and the Beatles as primary influences, which, given their influence on one another in 1965, makes a lot of sense. Suburban Dirts also bear `60s and early-70s influences from both sides of the pond, including Hot Tuna, early Fleetwood Mac, Big Brother and the first generation bluesmen from which they all took inspiration. There are hints of country-rock, suggesting the Allman Brothers and, in the case of "Someday, Baby," Mike Nesmith's post-Monkees sides or perhaps Glen Campbell-era Jimmy Webb songs. The album isn't all Dylan-esque electric blues, as "Ada" turns on a country waltz, "Stoned" edges into psychedelia and "The World it Turned" is a ukulele ballad. Wheatley has enough rasp on the edge of his voice to put across the pain and dislocation of these songs, which just as often center on existential weariness as they do on direct emotional disappointment. That said, there are plenty of lyrics grounded in romantic turmoil, and "I Ain't Cut Out for Working 9 to 5" turns on the workingman's plight. Guitarist Dave Moyes picks some fiery leads, and guest pianist Joe Glossop adds some twinkling piano in the background. Suburban Dirts' Americana sounds surprisingly American for a band from Hertfordshire (the birthplace of Graham Green, among others), which suggests the "American" in "Americana" has fully transcended its geographical roots. 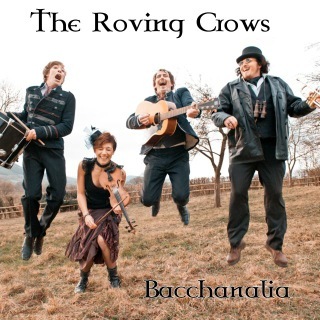 Formed in early 2009, The Crows infamous inexhaustible energy in their live performance alongside fiery fiddle playing, trumpet, guitar, drums, bass and vocals has given them stand alone status in the up-surging live music revival. Described as completely unique and uncontainable, an original Celtic vibe, also drawing influences from genres including jazz, ska, folk, kleizmer and blues. 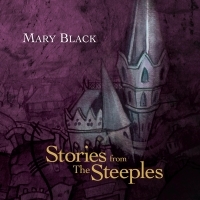 Now for the official blurb…. Musician and vocalist Cathy Jordan, long time member of multi-award winning traditional Irish band Dervish, will launch her debut solo album at Glasgow’s forthcoming Celtic Connections Festival. 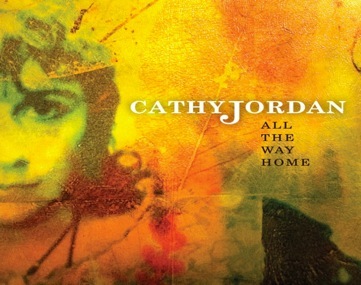 Cathy’s first ever performance as a solo artist will take place on Friday 20th January at the Tron Theatre at 8pm. The gig will feature guest appearances from album contributors including fellow Dervish star Liam Kelly, flute/whistle legend Michael McGoldrick and members of Swedish band Väsen, as well as other special guests. Dapper's Delight (Adrian Brown - anglo concertina and Susanna Borsch - recorder) is a duo formed to explore the dance music and songs of the period 1550-1750, particularly pieces that are found in both high and low cultural sources. Their current interest lies with the rich repertoire of 17th century English tune books and broadside ballads, which they feel, form a bridge between ‘art’ and ‘folk’ music, modern categorisations which would never have been applied to music at that time. 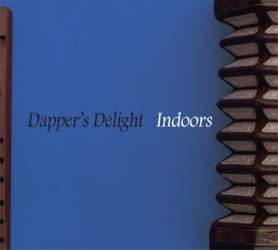 Dapper’s Delight use small scale and highly portable instrumentation which they feel is very effective for this repertoire. An evening packed with energy and talent. Showcasing the very best the capital has to offer in up-and-coming performers. Are you a singer, rapper, dancer, comedian, or spoken word artist looking to take that next step and perform in front of a live audience? If so then Allsortz is for you and all you need to do is submit your work to programming@richmix.org.uk. It’s now been almost 3 years since Brassroots emerged on the scene from their monthly residency Brassroots Presents here at Rich Mix. As 2012 rolls around Brassroots reaches out to some of their favourite bands and artists and subsequently turn up the heat on the hippest 2nd Wednesday of the month in East London.